You may know from my post on hiking that I value the idea of a strategic initiative, taking one action that affects many areas at once. George Lakoff, in Don’t Think of an Elephant, notes that focusing on alternative energy is a powerful strategic initiative, because it affects not just energy and sustainability but a host of other areas, such as jobs, health, the environment, foreign policy, developing countries, and more. This is a major reason I’m drawn to alternative energy; it gives a lot of bang for the buck, and it deals with the most urgent issues facing humanity today. 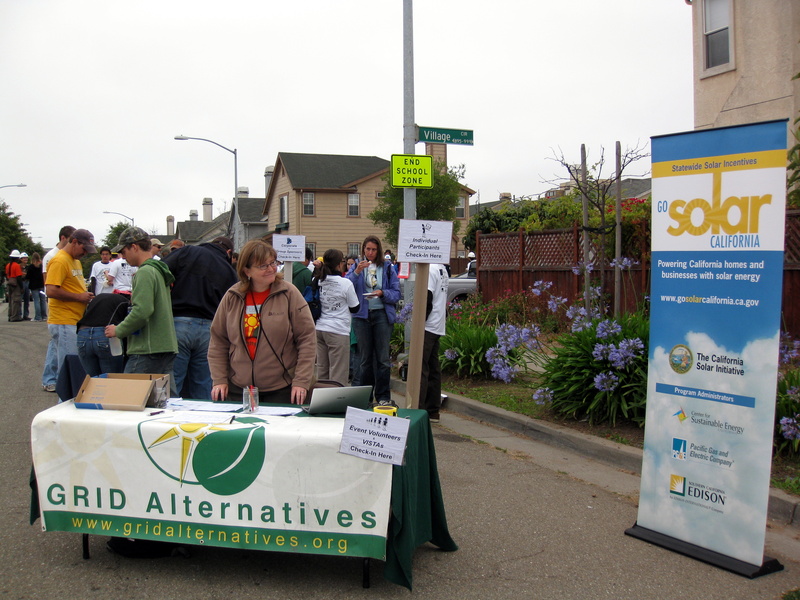 GRID Alternatives, an Oakland-based nonprofit, takes this a step further by installing solar systems for low-income families, which adds the benefits of training future solar workers, showing in a concrete way that solar is effective and affordable, empowering low-income families, and building communities. The organization is relatively young, yet since 2004 they’ve installed solar systems for over 500 homes, accounting for over 1 megawatt of generating capacity. Their rates of installation are increasing quickly, and they’ve expanded to other parts of California. In the afternoon, I went up on the roof of the house! 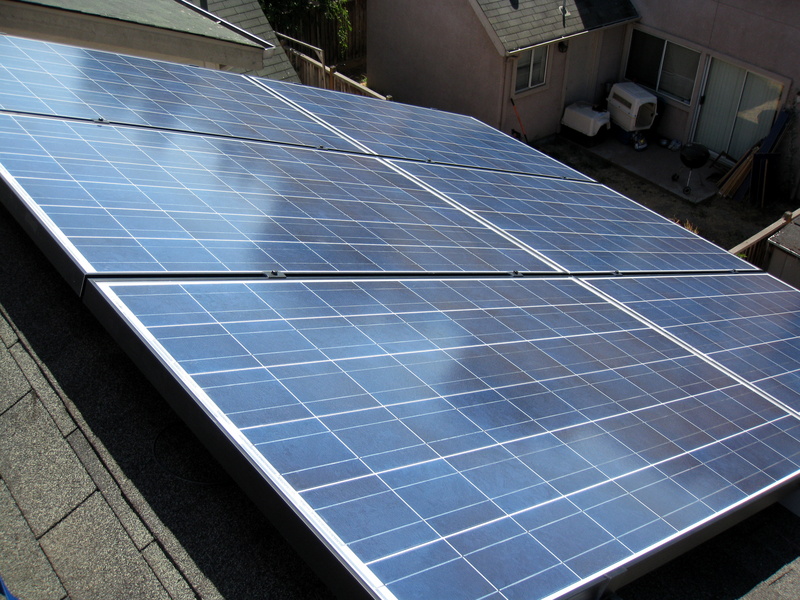 I don’t like heights, but I wanted to help install the panels (ahem—photovoltaic modules) and see how it was done. 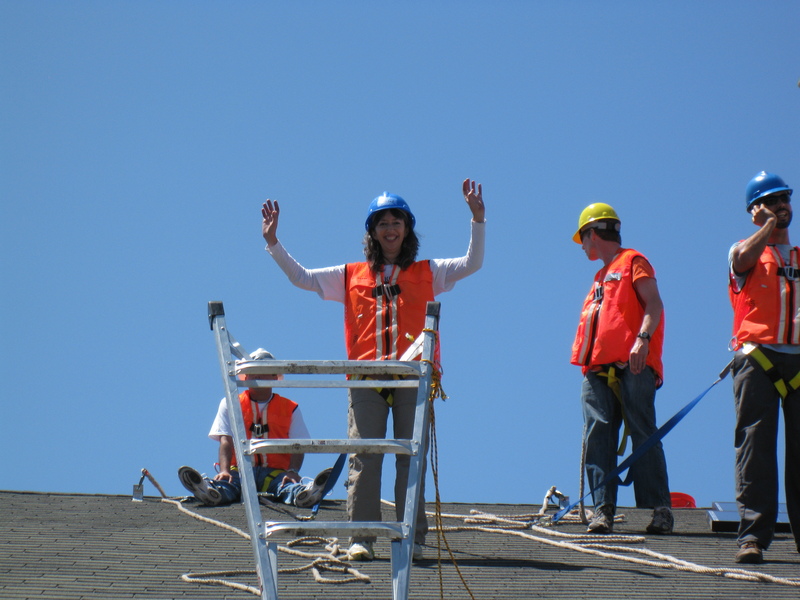 And they had us safely harnessed, so I did not plunge to my death or get injured in any way; I didn’t even succumb to the most common injury from solar installation, sunburn. It’s important to keep the delicate backside away from anything that could damage it. And at least two people must handle a panel at all times. 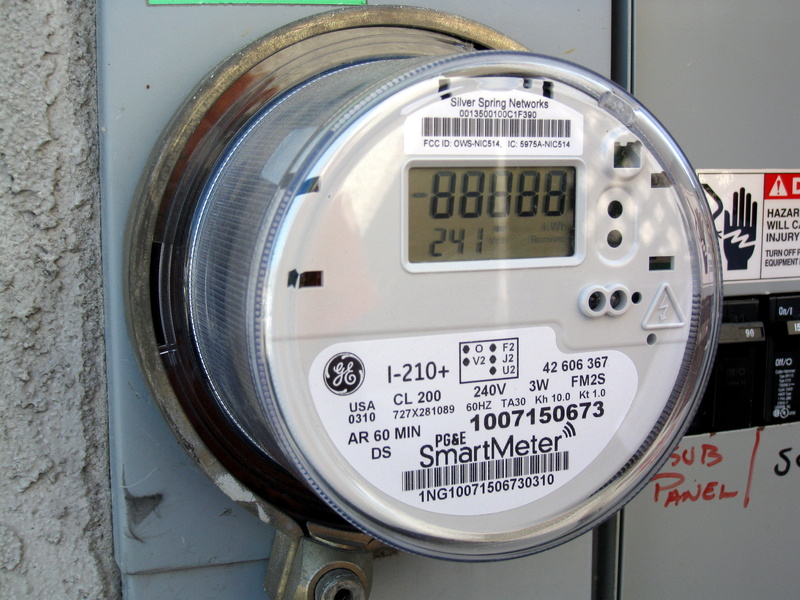 This is known as net metering: when the house is generating more electricity than it’s using, the power is sent back to the grid. 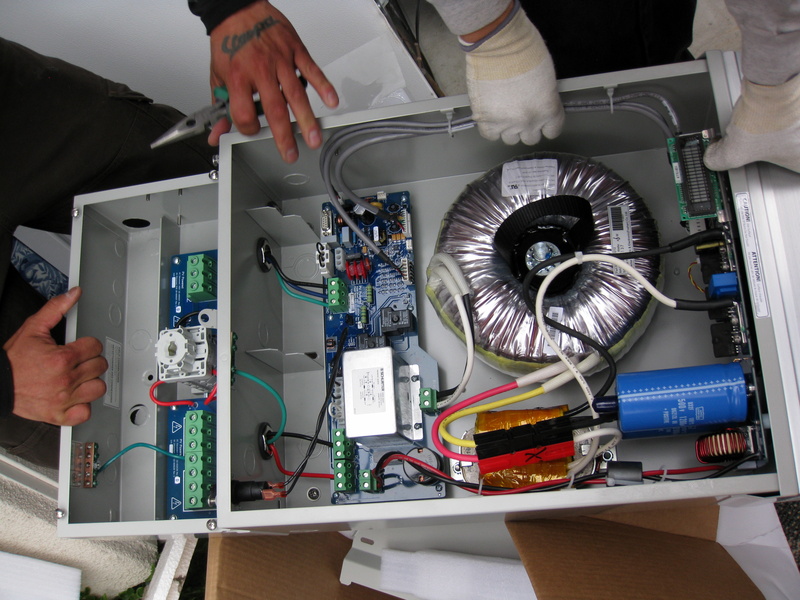 This power can be used later, when the house is generating less and needs to use it. That was one of the most satisfying moments I’ve experienced from a day of work. Though I’m lucky to have an interesting and engaging job that does contain many moments of satisfaction, it’s hard to equal the feeling of doing something that’s so useful on so many levels. That’s the beauty of a good strategic initiative. 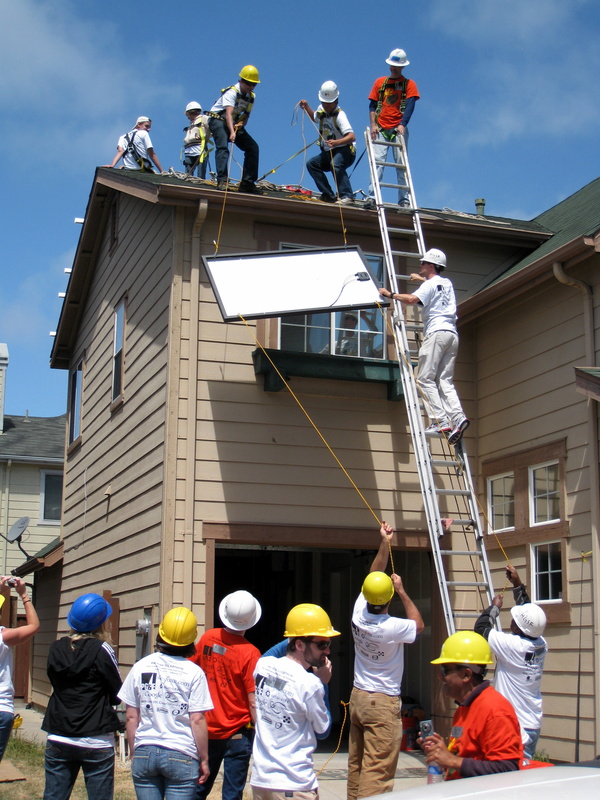 Though a great deal of work goes into the Solarthon and other GRID installations, what the organization does is fairly simple, yet it has such far-reaching effects. It’s truly inspiring. I’m still trying to get a solar system installed at the condo complex where I live, a long and complicated process. I hope to succeed at that, but whatever happens there, it’s good to know that I can continue to contribute to the expansion of solar power, and more, by volunteering for an organization like GRID Alternatives. They’re actively embodying what a good strategic initiative can accomplish. The fact that they’re expanding as much as they are shows that their model works. And I’m happy to have found such a satisfying way to volunteer. Beautifully written, and very sensible too! You should publish this in a journal. I totally agree with you about why alternative energy is such an exciting, lots of bang-for-your-buck area. I’m reminded of the “triple bottom line” or “people planet profit”, “ecological, social, economic” models that are emerging and proving to be successful ways to run businesses and organizations. GRID is a nonprofit, but they’re showing how alternative energy is tied to social and economic equality and empowerment.